The Taurus commercial treadmill 10.5 Pro is suitable for frequent workouts at home or at gym. A comfortable and very joint-gentle workout is guaranteed thanks to its patented 3-elements-shock absorption system. The strong 3 HP AC motor produces top speeds up to 25 km/h. The professional treadmill with its steel frame can be loaded up to 181 kg. 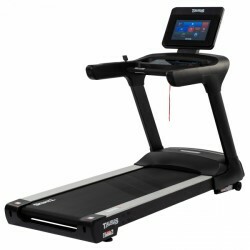 The Taurus commercial Treadmill T10.3 Pro ist optimal for intense training sessions, for use in institutions and gyms. It is extremely stable and a long lifespan. The treadmill can be loaded up to 200kg thanks to the steel frame and stable running deck. 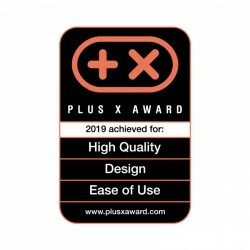 Through optimal component choices, wear and tear is kept to a minimum and is therefore made for longer intensive usage. 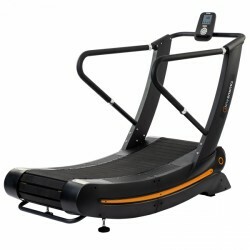 The Taurus Run-X is a treadmill without a motor, a so-called Curved Treadmill. The speed of the treadmill is solely controlled by your running speed. Power walking up to extreme sprints are possible. 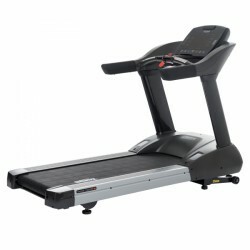 Therefore the treadmill is built with high stability and durability. 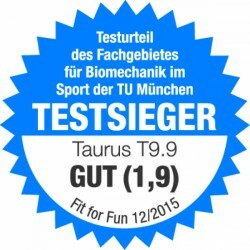 Taurus treadmills orientate on needs of athletes. That's why, the construction of Taurus treadmills is of high quality and comfort is in main centre of interest. Treadmill workouts can be exercised independent of the weather at home - at all times. Treadmills are well-thought out so that pace and even incline can be variably set. Taurus treadmills convince by their very sturdy construction and first-class equipment which makes each treadmill workout a real pleasure. 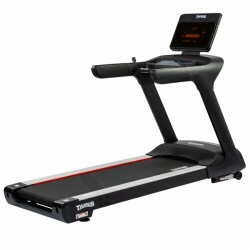 One of our top sellers is the Taurus treadmill T9.9. 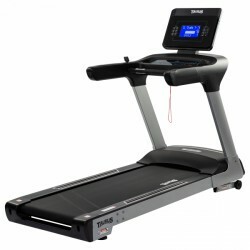 6 EVA-shock absorbers and an orthopedic running mat of 4.4 mm provide an extremely joint-gentle workout on this treadmill. Ambitious athletes take the Taurus commercial treadmill T10.7 Pro, whose massive construction guarantees durability even for regular treadmill workouts. 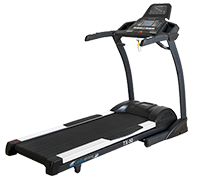 The powerful 4 HP AC motor of the Taurus treadmill is of low-maintenance and provides a constant run even for higher speeds. 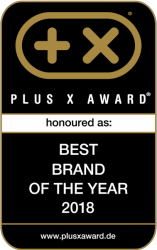 Taurus treadmills: Exclusive quality - exclusively at Sport-Tiedje !